I use Netduino devices for teaching and my students often build projects which need a cloud based service like AdaFruit.IO to capture, store and display their sensor data. My Proof of Concept (PoC) which uses a slightly modified version of the AdaFruit.IO basic desktop HTTP client code has been running on several Netduino 2 Plus, Netduino 3 Ethernet and Netduino 3 Wifi devices for the last couple of days and looks pretty robust. The Netduino 3 Wifi device also supports https for improved security and privacy. They also make great field gateways as they can run off solar/battery power. // Create a character array for hexidecimal conversion. // Loop through the bytes. // Grab the top 4 bits and append the hex equivalent to the return string. // Mask off the upper 4 bits to get the rest of it. In one of my day jobs I look after a system which has been around since 2010 (Early adopter of Microsoft Azure, developement started on .Net 3.5). The product has a number of Windows Communication Foundation(WCF) services hosted in an Azure CloudService. I first tried the Visual Studio 2017 Microsoft WCF Web Service Reference Provider fromt the WCF Core Team. The error message wasn’t particularly helpful so I used the command line utility svcutil to generate client classes. Which I used to built a .net core client with and the associated .Net Core WCF NuGet packages. The console application failed when I called the service with a “PlatformNotSupportedException”. After some searching I found that the .Net Core WCF libraries don’t support TransportWithMessageCredential (September 2017). This client failed with a SOAPAction related exception so I fired up Telerik Fiddler and found that the header was missing. When I manually added the header in the request composer (after dragging one of my failed requests onto the composer tab) it worked. I had a look at the code in the SimpleSOAPClient repository to see how to add a custom HTTP Header to a request. After sorting out a few typos my request worked as expected. Only a couple of hours lost from my life, hopefully this post will help someone else. 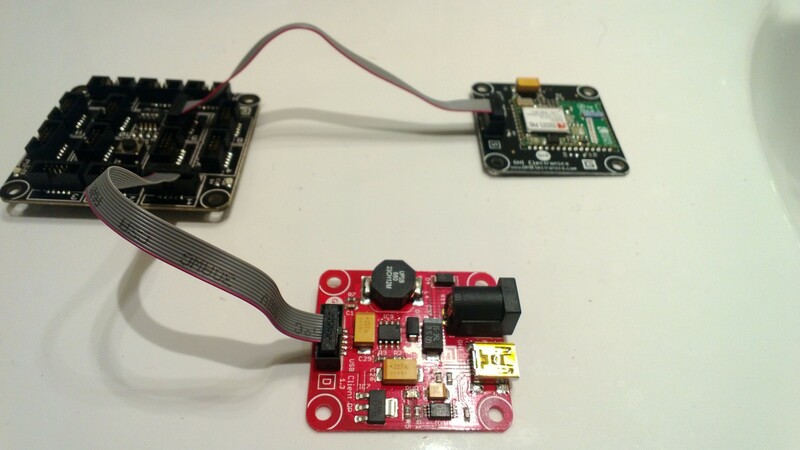 My next proof of concept uses a Weather click and nRF C click to upload temperature and humidity data to a Xively gateway running on a spare Netduino 2 Plus. I have a couple of Azure Event hub gateways (direct & queued) which require a Netduino 3 Wifi (for TLS/AMQPS support) and I’ll build a client for them in a coming post. I initially purchased an nRF T click but something wasn’t quite right with its interrupt output. The interrupt line wasn’t getting pulled low at all so there were no send success/failure events. If I disabled the pull up resistor and strobed the interrupt pin on start-up the device would work for a while. The code sends a reading every 10 seconds and has been running for a couple of days. It strobes Led1 for each successful send and turns on Led2 when a send fails. I need to have a look at interfacing some more sensors and soak testing the solution. The MikroBus.Net team have done a great job with the number & quality of the drivers they have available. A chat with some co-workers about displaying the status of the team’s Jenkins build process led to bit of research into calling RESTful services and JSON support on NetMF devices. Previously this had required a bit of hand crafted code but now it looks like the library support has matured a bit. 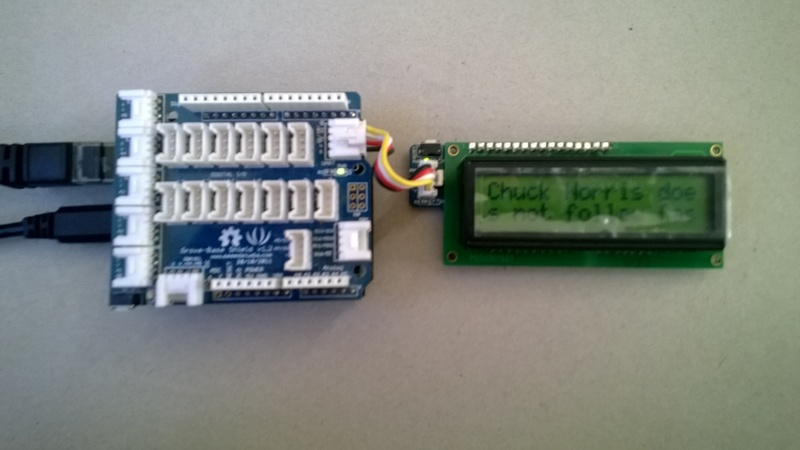 I don’t run Jenkins at home so I decided to build a NetduinoPlus client for the internet Chuck Norris database which has a RESTful API. I now have a GHI Wifi RS21 Module which I needed get working with a FEZ Spider running NetMF 4.2 (I have upgraded both my FEZ Spiders to 4.2 so no 4.1 vs. 4.2 comparison this time). Other developers seemed to be struggling to get connectivity with various earlier versions of the NetMF going working robustly. So after flashing my device to 4.2.9.0 I built a quick and dirty demo to illustrate how I got my RS9110 based Wifi module working with designer support. For a real application I would move the initialisation out of the ProgramStarted and improve the exception handling but this sample code should be enough to get you started. I have checked and this code works after both a device reset or re-flashing. I was determined to get the J11D Ethernet module working in the graphical Designer so after a lot of reading + trial and error…. // The code below (Dynamic configuration or static configuration) could be removed once the MFDeploy fixed. I upgraded one of the two FEZ Spider boards I have to Version 4.2 of the .NETMF and this has caused some problems with the MF Deploy Network Configuration and also broke some networking code.